Despite today being a rest day on my training schedule, I felt like doing a race. 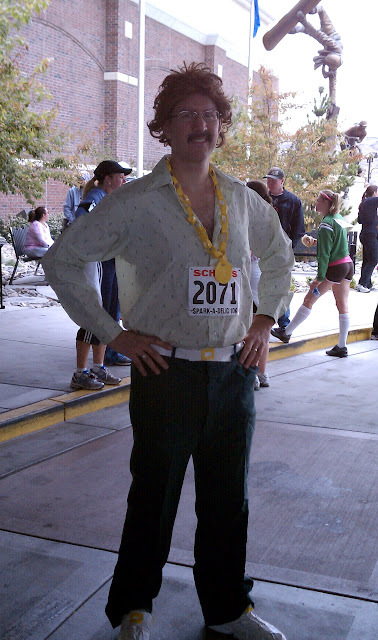 Fortunately, there were a couple in town today to choose from, and I decided on the Scheels Spark-a-delic 10K. I did this race a couple of years ago, and the Scheels races are usually pretty good with the prizes and stuff, so off I went. But first - there was a costume contest. 1970s themed. I rooted around in a box in the shed, found some disco pants and a big-collared shirt, accessorized a bit, and threw a wig on. Oh, and a mascara mustache. OK, ready to go. 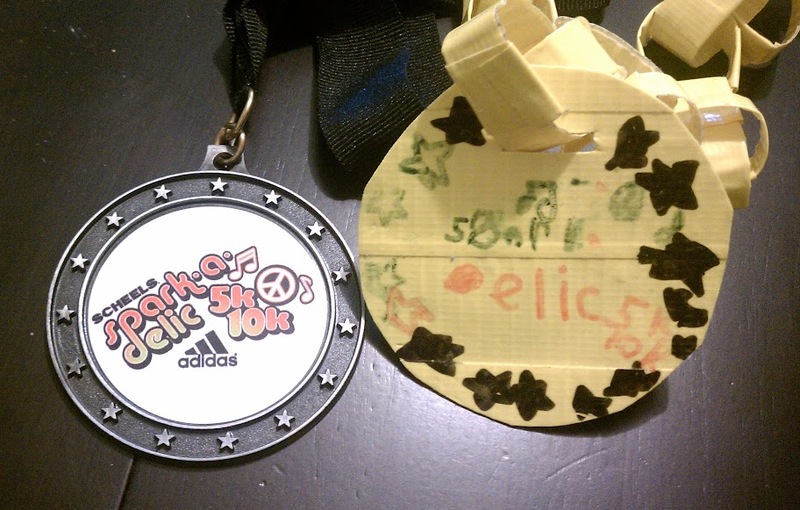 Update - my daughter decorated my disco medallions to match the race medal. Oh, and results are posted at active.com. Great post! We love reading about runners in our races. Looks like you had a great time and good luck with the Turkey Trot!